Racine Roofing and Remodeling provides painting services in Racine, Kenosha, Sturtevant, Caledonia, Milwaukee, and Franksville, as well as all over Wisconsin. 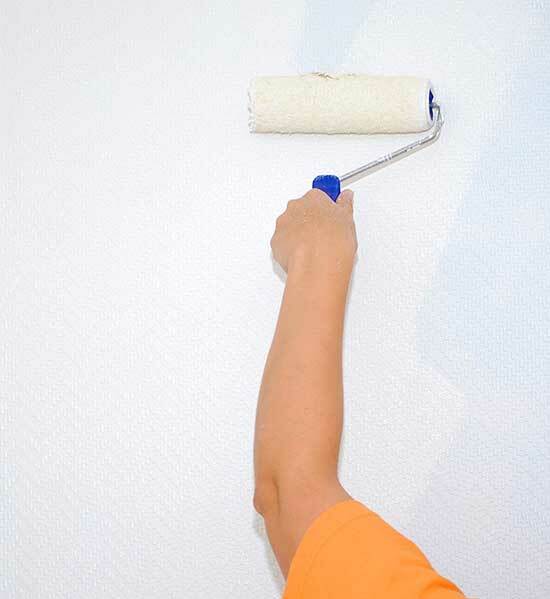 Paint remodeling is much more complicated than slapping some color on your walls, so let our professional team at Racine Roofing & Remodeling take the headache out of it for you. Color makes a huge impact on the space it fills, and the right paint job creates a befitting mood for each section of your home. The right shade or texture can make your room look bigger, smaller, or even cheerier. To start, get ideas for using paint creatively in any room. If you are struggling for inspiration, seek out websites that offer color visualizer tools, which allow you to find the palette that fits your personal style and see how it will look ahead of time on a generic room of your choice or even on a photograph that you upload. Remodelaholic.com is also a great resource for unique and creative painting ideas. At Racine Roofing & Remodeling, we use refined tools and materials to ensure a low-maintenance result with smooth lines and flawless coverage every time. Today, accent walls are all the trend, and and there are many examples of fun, innovative ideas, such as chevron, rainbow, small, wavy, vertical, horizontal, large-scale, and freehand stripes, color washing, color blocking, freehand or stenciled pictures, patterned and geometric shapes, faux molding, chalkboard, and typography, A bit of paint goes a long way in a home remodel!